Atlanta is one of the most popular tourist destinations in the United States. Atlanta is the capital and most populous city of Georgia. Many museums and historical sites offer easy access and a walk in the headquarters of the world's largest corporations are part of the things that attract visitors. 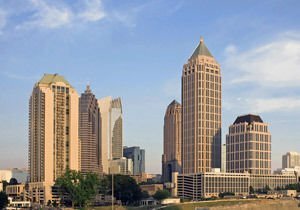 Attractions in Atlanta as many and different, as are the locals and tourists. 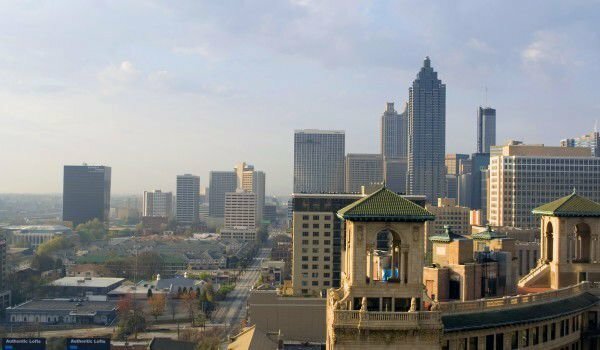 One of the most attractive neighborhoods in Atlanta is called Buckhead, in which most tall buildings in the capital of Georgia are concentrated. There are many hotels, restaurants, shopping centers and entertainment venues. The neighborhood is nicknamed the "Beverly Hills of the East" because it resembles the famous site in California. Among the most popular architectural landmarks of Atlanta is the 312-meter skyscraper Bank of America Plaza, which is actually 42 storey tall and the highest building in Georgia. Other interesting developments are the Peachtree Center, 191 Peachtree Tower, Georgia-Pacific Tower, Westin Peachtree Plaza Hotel, and SunTrust Plaza . Traditionally, each U.S. state capital is to build an impressive and memorable building for its Capitol. Georgia State Capitol is no exception. The building was erected in the period 1884-1889 and shares a standard architecture with other state Capitols. The building is designed in neoclassical style and has a beautiful traditional massive dome, which gives the imposing figure of the structure. The building is seen as a symbol of Atlanta. Visits to the Georgia Capitol are open Monday to Friday from 8:00 to 17:00, on the fourth floor is the Museum and the Capitol. In the heart of the city lies the green oasis of Centennial Olympic Park. Over the years, the open area has gained fame as the top spot for relaxation and entertainment. The park occupies an area of 85, 000 square meters and offers a unique alternative for holding large outdoor events - whether for corporate gatherings or ceremonies. The reason for the construction of the Green Zone were the Summer Olympics held in 1996 in Atlanta. Two major companies - Coca-Cola and CNN have decided to situate their head offices in Atlanta. Today, thousands of guests of the city have the opportunity to tour around the intelligence headquarters of the two global corporations. Close to the permanent exhibition of The World of Coca Cola is another big attraction of Atlanta - Georgia Aquarium - the largest such facility in the world. This water world will surely amaze visitors, no matter what age they are. The Aquarium cares for more than 120, 000 members of the aquatic life of over 500 species. The complex has many world-class attractions. Recently the management of the huge aquarium counted its six millionth visitor. Atlanta Botanical Garden also deserves special attention. It is located at 345 Piedmont Avenue. Fans of extreme sensations will feel at ease if they visit the local Atlanta Motor Speedway. A great place for entertainment and shopping is the Underground Atlanta center.